Shopping the easyfundraising way with Train Genius, could not be easier. Follow the instructions below, and create an account today to start supporting a cause or charity of your choice. 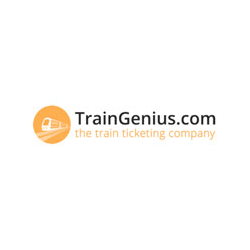 TrainGenius.com sells train tickets for all UK train companies – including Virgin Trains, East Coast, First Great Western, CrossCountry and South West Trains – to all National Rail stations and over 400 PLUSBUS stations. By buying tickets online through TrainGenius customers can save up to 80% on the price of their ticket, compared with buying at the station on the day of travel – they have all of the cheapest ‘Advance’ tickets available for purchase.